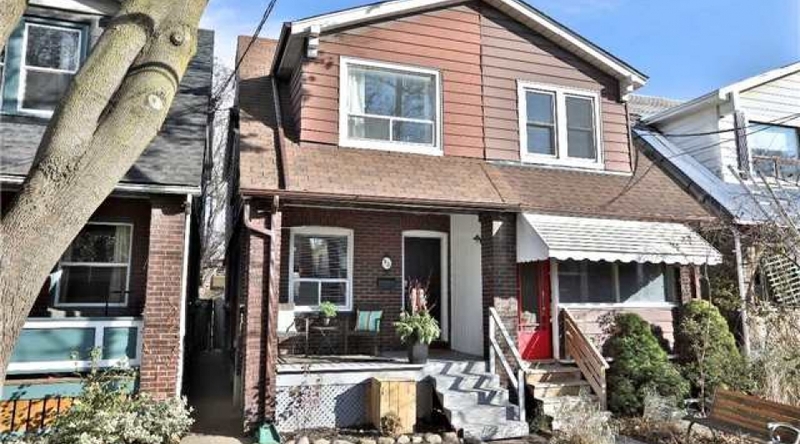 Fantastic Family Home In The Heart Of Vibrant Leslieville Village With Parking! Perfectly Situated On A Quiet One-Way Street, Steps To Some Of The Cities Best Restaurants/Eateries, Cafes, Antique Shops, Boutique Grocers/Bakers/Butchers, Schools, Parks & Much More! Open-Concept Main Floor Living Space, Bright 2nd Floor With Large Master Bedroom, Lovely Finished Basement With Full Bath. Walk-Out To Low-Maintenance Backyard With Plenty Of Space For Outdoor Entertaining. Easy Commute Downtown Via Streetcar. Quick Access To Major Hwy's & Parking Off The Lane, Space For 2nd Vehicle.